Peninsular Freight (M) Sdn Bhd, established since Oct 1980, is a Malaysian based company that provides a range of logistics solutions. 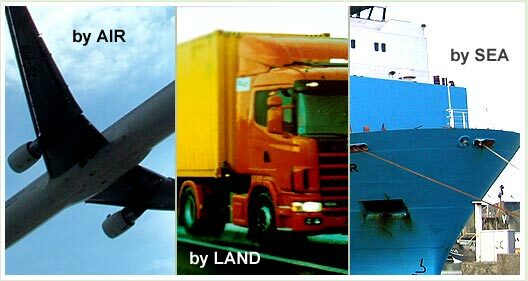 The services offered by the company cover a wide range, from the conventional transshipment services by truck, sea, airfreight through extensive courier and warehousing services all the way to numerous special services. With a worldwide network of affiliates, we are able to ensure a "safe & efficient" passage of all imports and exports in meeting your every need. In every need, we mean from all aspects of the business such as consulting on export incentives, customs clearance, tariff codes, tax issues and documentations to freight forwarding, arranging transit insurances and even coordinating transport at the final destination. We also keep abreast of the latest trends, regulations (both local and international) and laws that may impact on your international trade. Copyright © Peninsular Freight Sdn Bhd, 2005. All Rights Reserved.